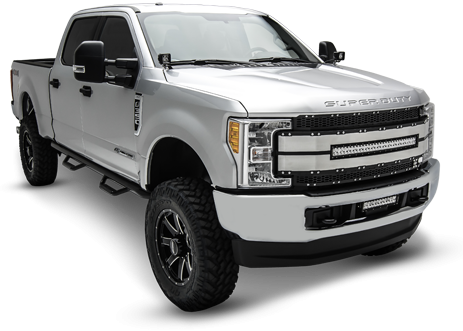 T-Rex accessories feature everything you need to customize your truck, car, SUV, or any ride. From custom logos and grill badges to items to trick out your car’s interior and exterior, T-Rex pickup truck accessories can make your vehicle as unique and interesting as you are. 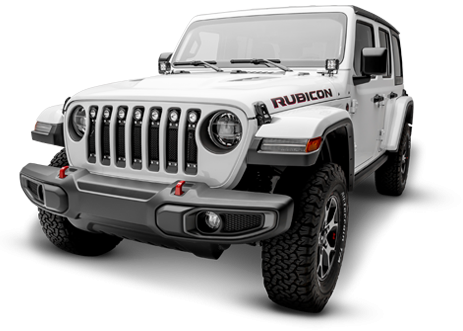 Want to truly show off the ride you take off-roading? With off-road truck accessories from T-Rex, you can display a customized, stainless steel, wire mesh flat to really kick-up the look of your Chevy emblem. Or, spruce up the Chevy, GMC, or Chrysler logo. Our customized logos can be installed on a T-Rex wire mesh flat. 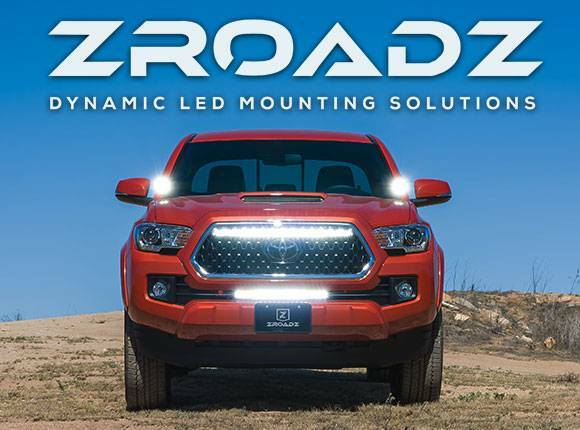 Choose between polished logos, bordered logos, or plain ones designed for installation on either your vehicle’s grille or the rear of your car. Why settle for a plain Jane vehicle, when you can use truck parts and accessories to craft a truly one-of-a-kind ride? If you want to show off your personality and not just your car’s make or model, consider purchasing and installing a grille badge. A grenade grille badge gives your vehicle an edge, or can show off your patriotism with a U.S. flag grille badge. Another way to make your ride the envy of the neighborhood is to add side vents. Crafted to give your ride a bit of elegance and class, T-Rex T1 billet products are sold in pairs. Once your vehicle’s exterior is customized to show off your personality, it’s time to consider truck interior accessories. The exterior may be sleek and fashionable, but now it’s time to turn your focus to the interior. Let everyone know your lifestyle with LOGOZ and T-Rex’s line of T1 accessories. 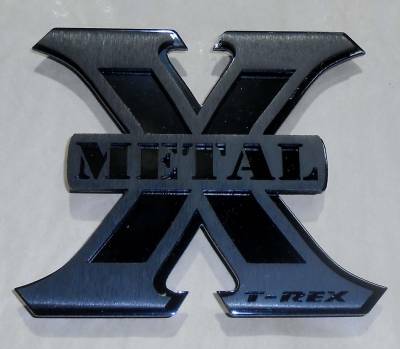 X-Metal Logo, 2 1/4" x 2 3/4"
Description: X-Metal Logo, 2 1/4" x 2 3/4"